The Nation's leading landowner services company. We are proud to be employee owned! 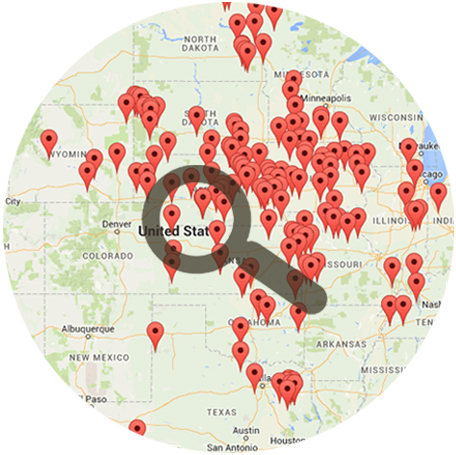 With real estate listings nation-wide, you can search by state for land for sale and upcoming land auctions. With real estate listings nation-wide, you can search by state for ranch and farm land for sale, residential acreages for sale, agri-commercial land for sale, recreational land for sale, and upcoming land auctions. Providing timely and valuable news and information for landowners, including: Landowner Newsletter, Current Commodity Market Information, Regional Land Reports, and Tradeshow Schedule. Get information and register to attend a 2019 landowner workshop series in your area. This year�s workshop series is designed to bring you, the landowner, the information you need to make good decisions about your property and help with Putting the Pieces Together to develop a sound farm or ranch plan. Make plans to attend a workshop near you! Read articles and updates for all agriculture crops from planting to harvest. Get crop technology information, tips and advice on spraying, tillage, and more.